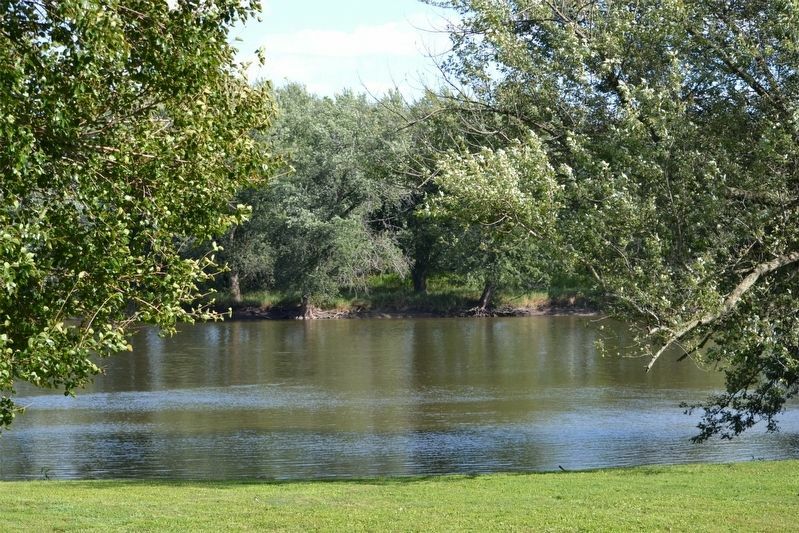 Near here was the landing site of the Upper Ferry, one of two ferries providing the first established crossing of the Rock River into Grand Detour. Authorized by local ordinance in 1837, they were the sole means of commercial access to the south and east until the first Rock River bridge was constructed in 1901. Location. 41° 53.754′ N, 89° 24.753′ W. Marker is in Grand Detour, Illinois, in Ogle County. Marker can be reached from Illinois Route 2. Touch for map. Can be viewed from parking lot near the river. Marker is in this post office area: Dixon IL 61021, United States of America. Touch for directions. away); Abraham Lincoln (approx. 5.1 miles away); Lincoln Supports Fremont for President (approx. 5.1 miles away); Berlin Wall Replica (approx. 5.1 miles away). Touch for a list and map of all markers in Grand Detour. More. 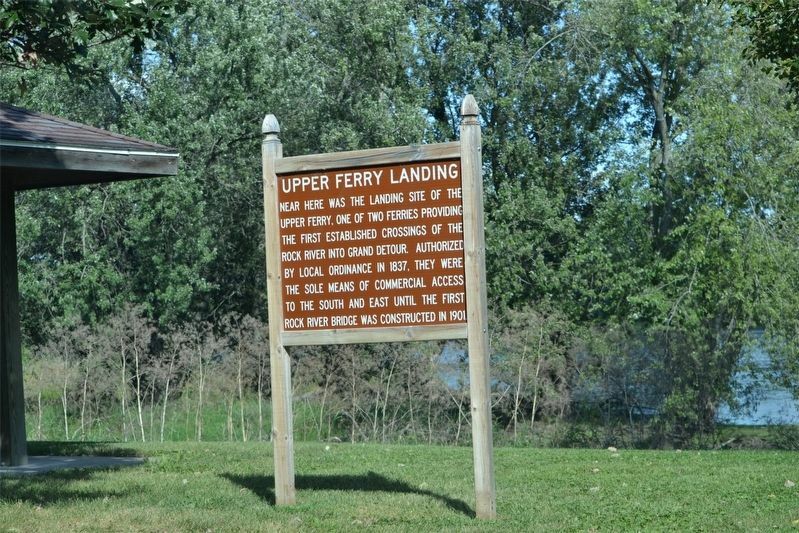 Search the internet for Upper Ferry Landing. Credits. This page was last revised on March 22, 2019. This page originally submitted on March 22, 2019. This page has been viewed 75 times since then. Photos: 1, 2. submitted on March 22, 2019. • Andrew Ruppenstein was the editor who published this page.